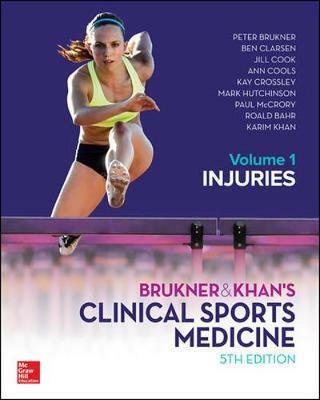 Brukner & Khan's Clinical Sports Medicine is the world-leading title in sports and exercise medicine, providing an authoritative foundation for clinicians and students. This complete practical guide to physiotherapy and musculoskeletal medicine covers all aspects of diagnosis and contemporary management of sports-related injuries. This fifth edition has been expanded to accommodate a much higher level of evidence-based content. It reflects the huge amount of new research and significant changes in thinking since the fourth edition was published. For this volume, Injuries, all chapters have been comprehensively updated by sports physiotherapists and sports physicians at the top of their fields from around the world.